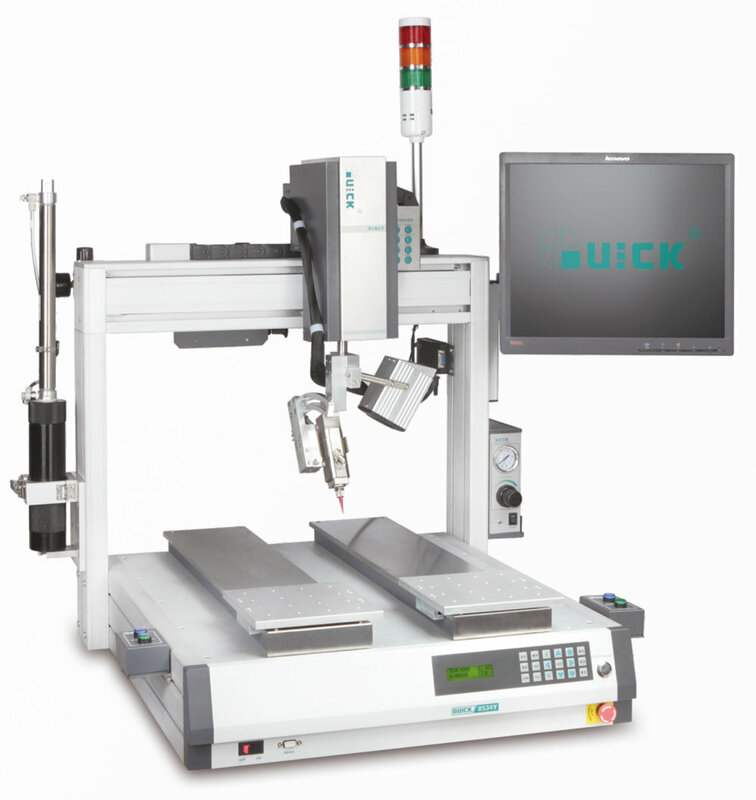 The QUICK 8534Y Series Dispensing Robot features a robust 4-Axis Motion Platform with Dual Y-Axis Slides for Progressive batch style processing. 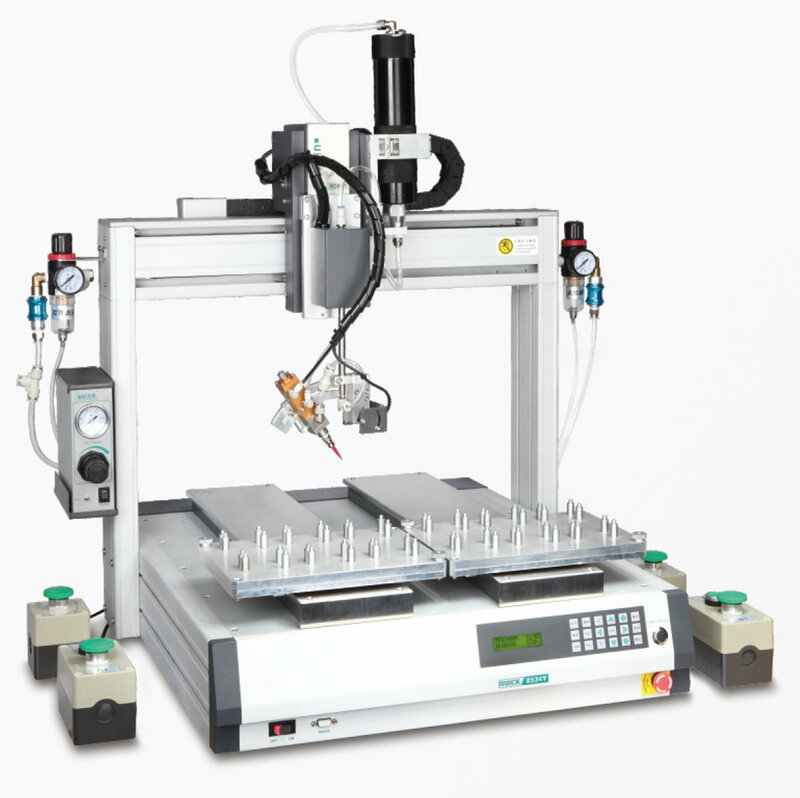 This system is designed to Automate the controlled dispensing process. Once programmed to a specific application, this robot can quickly and accurately dispense materials to their desired locations. 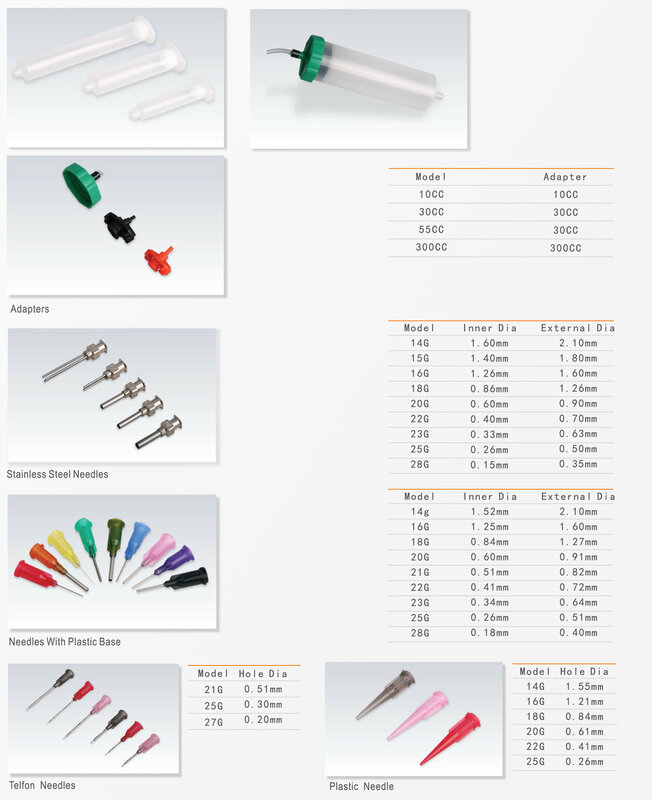 Various types of Dispensing Needles, Syringes, Dispensing Valves, and Dispensing Controllers are available. 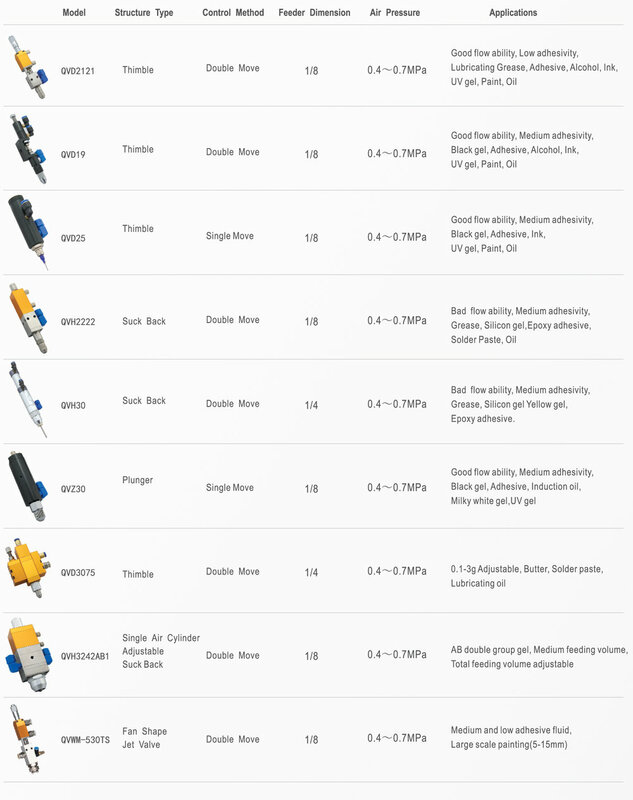 Wide variety of valves / nozzles available. 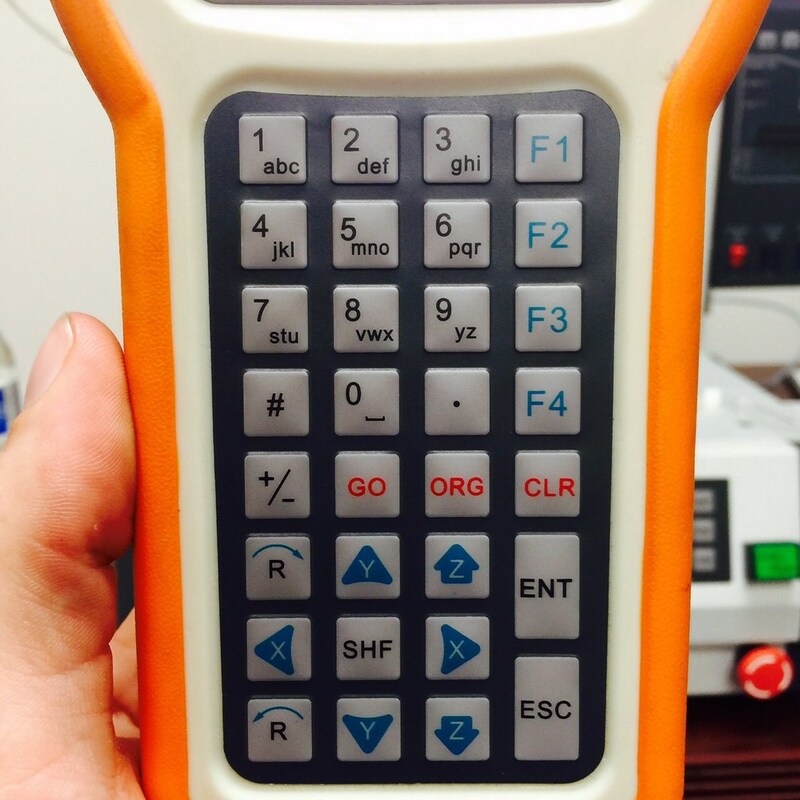 Greatly increases dispensing accuracy and consistency.